Tarkenton has to be on here for his records and team leadership. Brought the Vikings to 3 SBs. He's simply one of the most exciting and successful quarterbacks to play the game. And we all know how important a QB is to a team's success in the NFL. Without a doubt he originated the scrambling of quarterbacks and still rates as one of the best to ever do it. Fran is probably #1. When he retired he held every major passing record. Alan Page is the greatest Viking. NFL MVP as a D Lineman. Vikes fan since 68’. Randy Moss my choice as #1a, Alan Page #1b Only players I ever saw that revolutioned their positions, opponents had to assign 2-3 people to account for them. 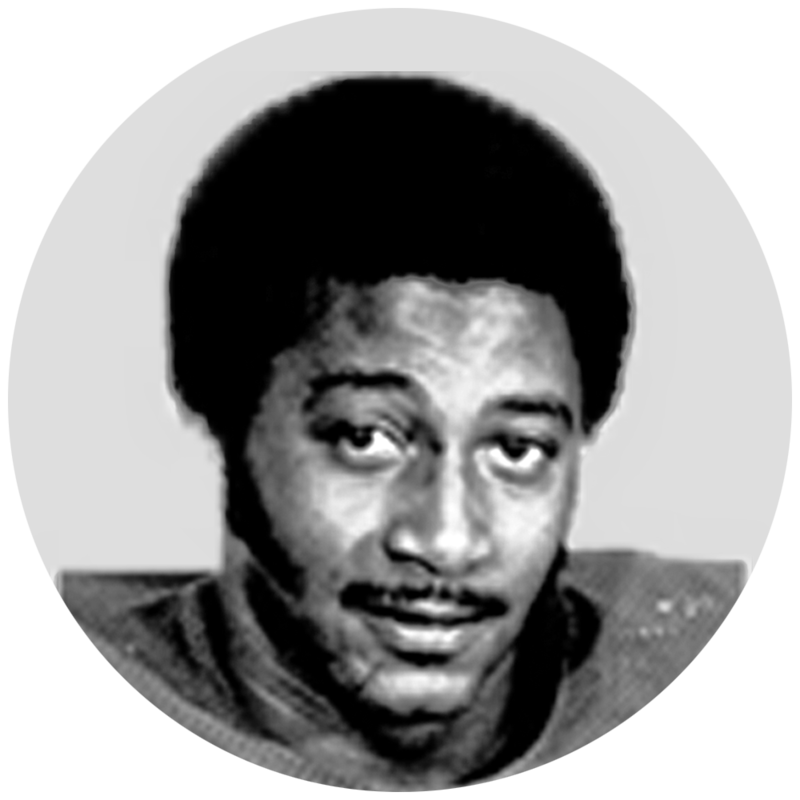 Justice Page was the Associated Press MVP of the league in 1971 as a tackle on a defense that gave up 139 points in 14 games. He also started 215 consecutive games. Slam dunk. Alan Page. Both on the field and off. Randy Moss is Number 1. Maybe the greatest athlete to ever play the game. By a mile. He changed the game of football. Moss, number one. Many ties for two. SuperFreak said it all. We never saw a receiver quite like him before he took the league by storm in 1998. He didn't catch all of them here, but his 156 TDs are second in NFL history. Perhaps the best set of hands the league has ever seen. Say his name, and the number 130 pops into my head. That's a lot of touchdowns for one of the best $100 waiver-wire pickups in NFL history. Carter turned his life and career around in Minnesota, walking away after 12 seasons with the Vikings as the franchise's leader in receptions, receiving yards and receiving touchdowns. Maybe the best hands in NFL history, to go with toughness, durability and a nose for the end zone. I spent most of my freetime in high school making imaginary sideline, tip-toe catches on sidewalk lines, floor markings, parking lot paint stripes, markings in the yard. Grades suffered a bit, but I sure did perfect my Cris Carter routine. The best running back in franchise history. He was one-dimensional, but, oh boy, what a dimension it was in its prime. Going for 2,097 yards and winning MVP after tearing an ACL was once thought humanly impossible. Those eight yards must eat at AP -- that's all that separated him in 2012 from breaking Eric Dickerson's single-season rushing record. Peterson's 2012 season remains one of the great single-season performances in NFL history. The unsightly moments of recent years aside, he's one of the Vikings' all-time greats. Adrian’s 2012 is a top 5 NFL season of my lifetime. Remember Peterson how you want, but I have him down as the best Vikings running back and their best player of the millennium. Best defensive player on one of the best defenses in NFL history. Eller. My highly subjective and admittedly indefensible number one. The Vikings' career sack record-holder (with 130) was named All-Pro five times, played in six Pro Bowls and started in four Super Bowls. Among the three decorated pass rushers on the “Purple People Eaters,” Eller was the most prolific. John Randle has to be in the top 10. As much as I love Marshall, I gotta put Randle ahead of him. Made the HOF without being surrounded by HOF players. The greatest rags-to-riches NFL story of the modern era. 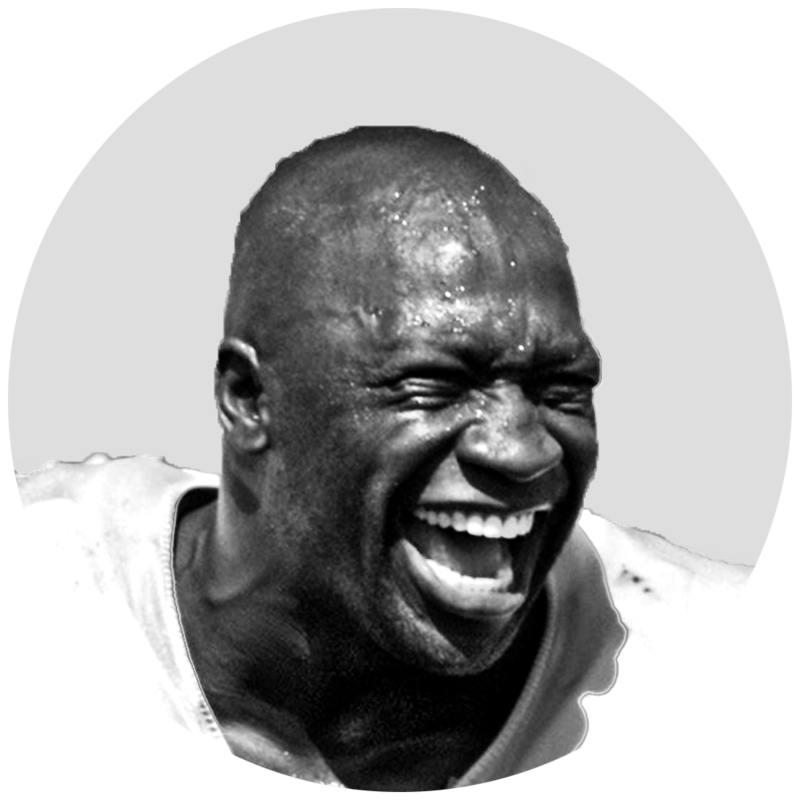 Had 137 1/2 sacks as a defensive tackle while that famous “John Randle motor” never left a gear few others could reach. Denny Green moved him inside as a 270-pound defensive tackle and he beat double teams all the way to Canton. Most dominant Viking I ever saw, could have excelled at a variety of positions. Powerful, durable, fast, dominant. With seven first-team All-Pro selections and 12 straight Pro Bowls, this left guard is the most decorated player on the list. Among the most-dominant offensive linemen in NFL history. Mike Tice once declared late in a season that he was unbeaten on individual plays … in all games. Watched him 360-dunk in a teachers-Vikings fundraiser game in high school. So dang good for so dang long. Jim Marshall played 282 consecutive games at defensive end ... started 270 consecutive games at DE. That’s bloody unbelievable!! Marshall is the greatest Viking of all time, for all time, full stop. What a career he had, starting a then record 270 consecutive games. No less of an authority than Bud Grant considers Marshall the greatest Viking. Has said so more than once. He ran the wrong way but played the right way. Chuck Foreman should be in the top 10 for sure. He and Fran made that team in the mid to late 70's. There has to be room in the top 15 for Chuck Foreman. He is a huge reason they got to the last 3 SB's. How quickly they forget. Chuck Foreman should be on everyone's list. Adrian Peterson was the Vikings best runner at running back. But, Chuck Foreman was the Vikings BEST all-around running back! He wasn’t a burner. But his open field shake-and-bake moves were incredible! And, Foreman was a GREAT receiver and blocker! More than 5,000 fans responded. We gave point values based on the vote position (a first-place vote got one point, third-place got 0.7 points, tenth-place gets 0.1). Find over 5,000 top-10 lists from Star Tribune readers. Editor’s note: When this was first published, an error in tabulating the results left out Chuck Foreman. He’s now listed correctly at No. 10.